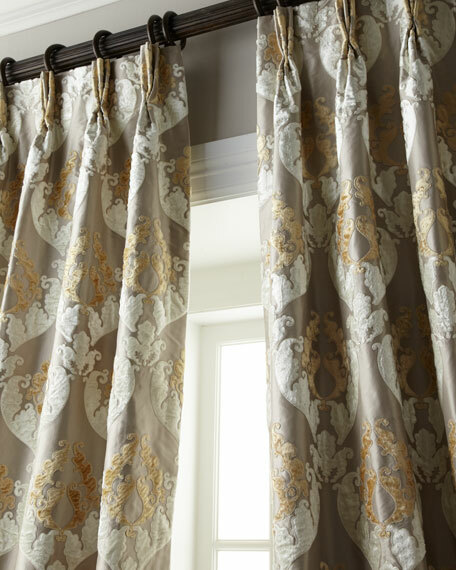 Sham is made of viscose/silk/polyester. 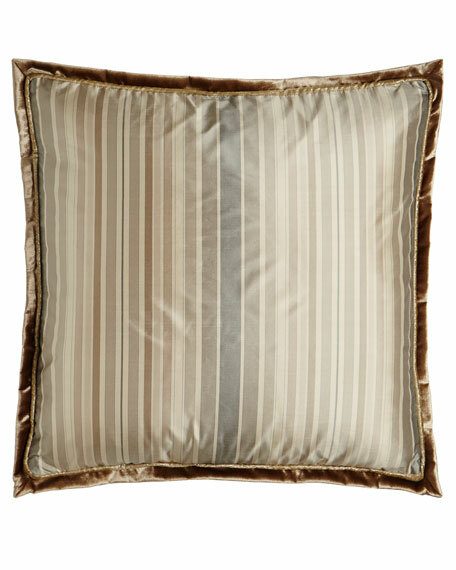 European sham of striped silk. 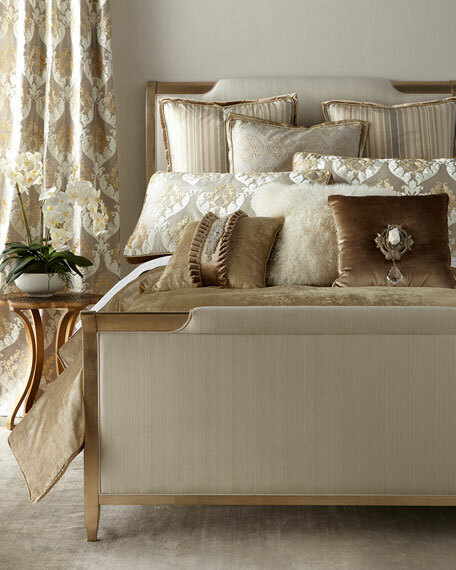 Silk/cotton sham with viscose medallion embroidery. 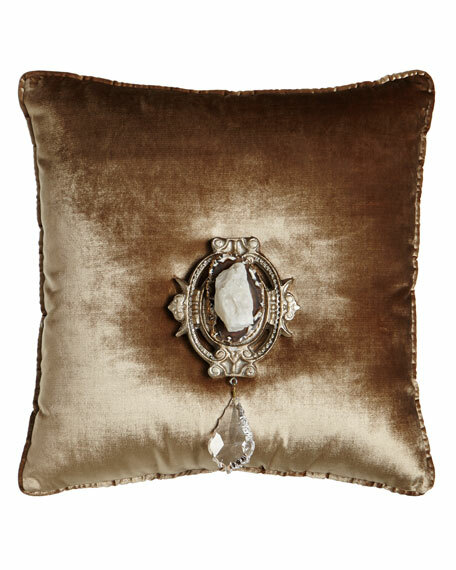 Misti Thomas Modern Luxuries Chani Lei Joule Medallion Pillow, 20"Sq. 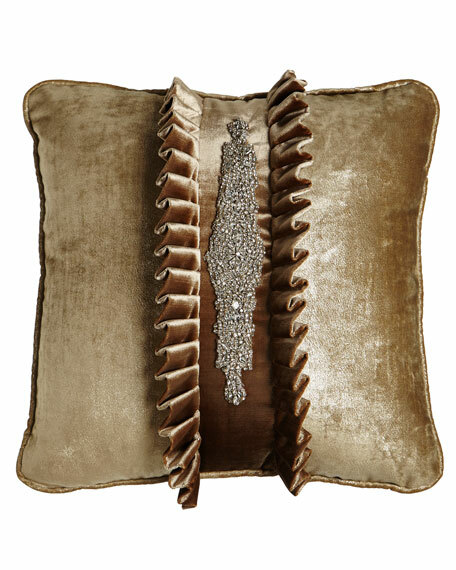 Misti Thomas Modern Luxuries Chani Lei Tuxedo Pillow, 20"Sq. 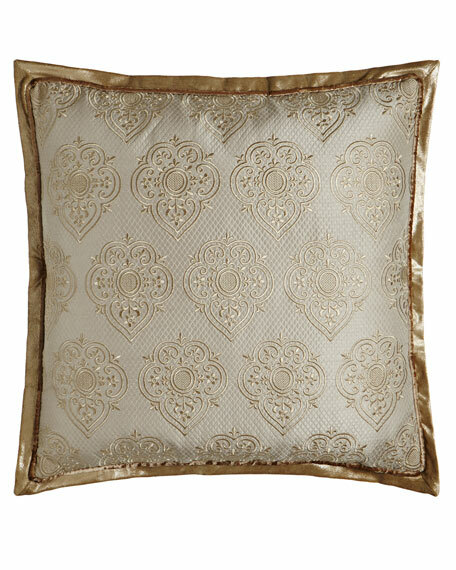 Pillow with beading and ruffle detail. 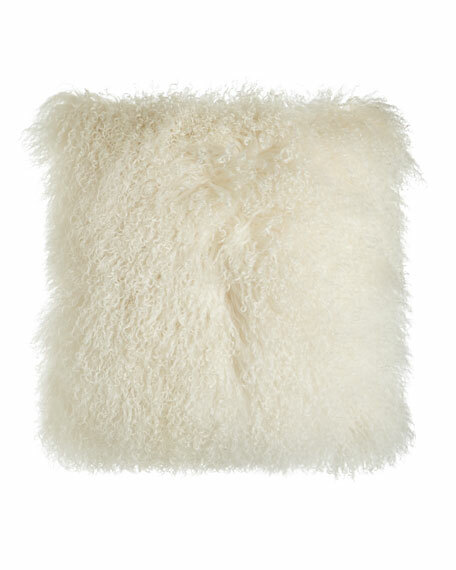 Misti Thomas Modern Luxuries Chani Lei Parker Tibetan Lamb Pillow, 22"Sq. 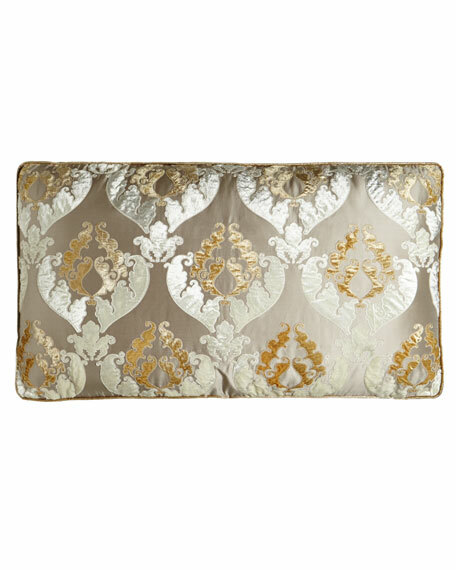 Curtain is approximately 25"W x 120"L.
Curtain is approximately 25"W x 108"L.
Curtain is approximately 25"W x 96"L.
Curtain is approximately 25"W x 132"L.